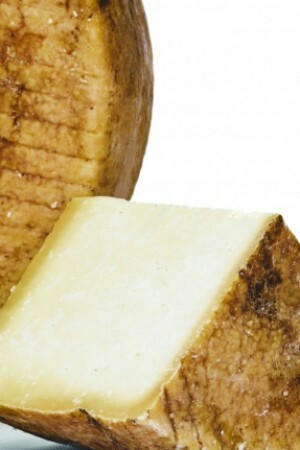 Grossetano pure buffalo milk cheese is for an adventuresome palate. There’s an intriguing wildness to it that one can’t quite define. It is salty but not too salty, concentrated but not strong, with a tangy finish and a pleasant aftertaste. The paste has a consistent, milk white color, tending to ocra as seasoning progresses. The crust is an ocra color which tends to acquire grey tones as seasoning progresses. Textually, a thin, hard, slightly damp natural rind while the interior is firm, pale and brittle.